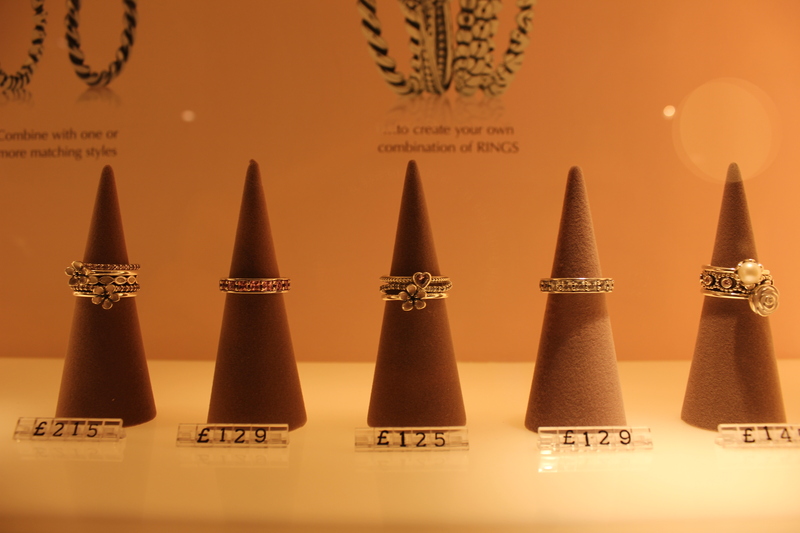 Stacking in style with Pandora in the Scottish capital. When it comes to rings and things, I’ve become a creature of habit. I went through a phase where I loved my chunky jewels and outfits never felt complete without a statement ring – or two. 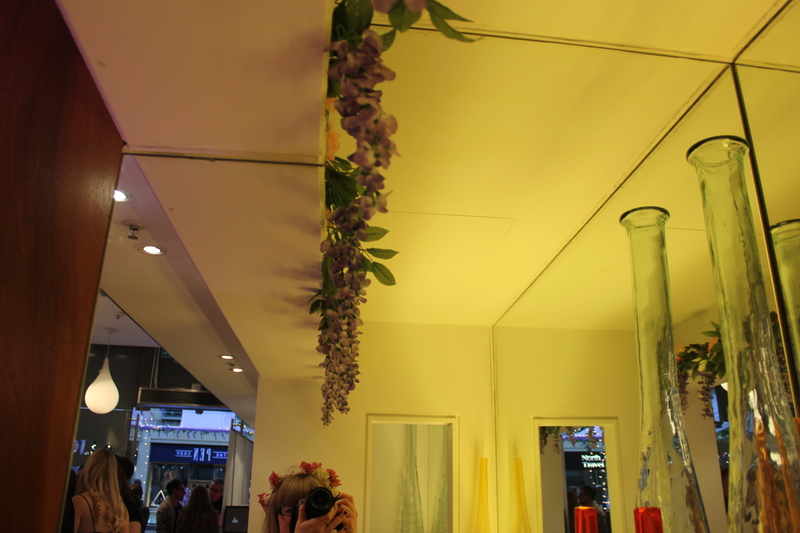 However, as my style has changed and become less fussy, my jewellery taste has definitely evolved too. 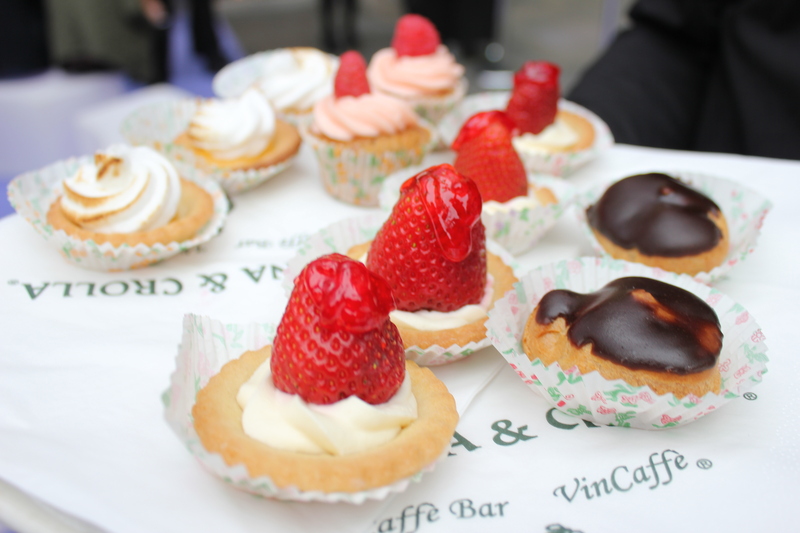 Nowadays, I find myself favouring the more delicate pieces and I’m much more drawn to feminine, vintage – or vintage inspired – designs. 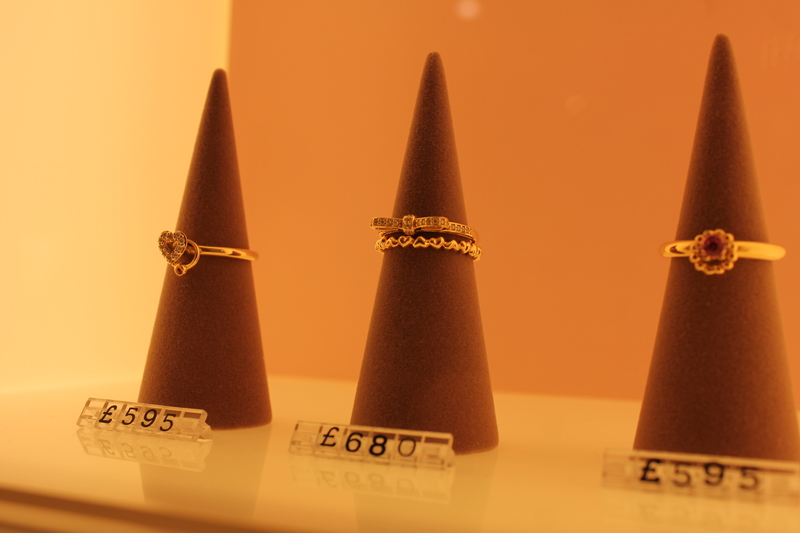 I’ve written about Pandora for several freelance features, which led to me seriously coveting a number of their celebrated stacking rings: their dainty proportions and feminine motifs (I’m all about the flowers and hearts) definitely appeal to my inner magpie instincts. Pandora’s stacking rings are subtly stylish, and the way you can mix and match them to constantly create new looks makes them especially appealing to me. The #MyRingsMyStyle campaign celebrates this potential: recently they collaborated with presenter Jameela Jamil, stylist and presenter Angela Scanlon and bloggers Peony Lim, Carrie Harwood, Emily Johnstone, Reem Kanj and Ella Gregory to create their own ring stacks reflecting their individual style and personalities. The finished ring stacks and accompanying series of images are testament to the versatility and creative potential of Pandora’s hand-finished jewels, reflecting the diverse style and personalities of the group. 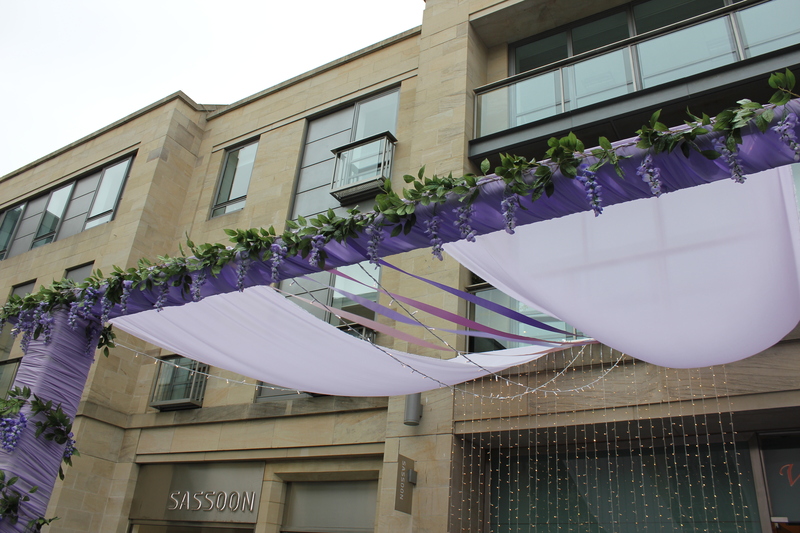 The campaign has been on my radar since I spotted the floral stacking rings in stunning images on Carrie’s beautiful blog WishWishWish, with my beloved Edinburgh as their backdrop. 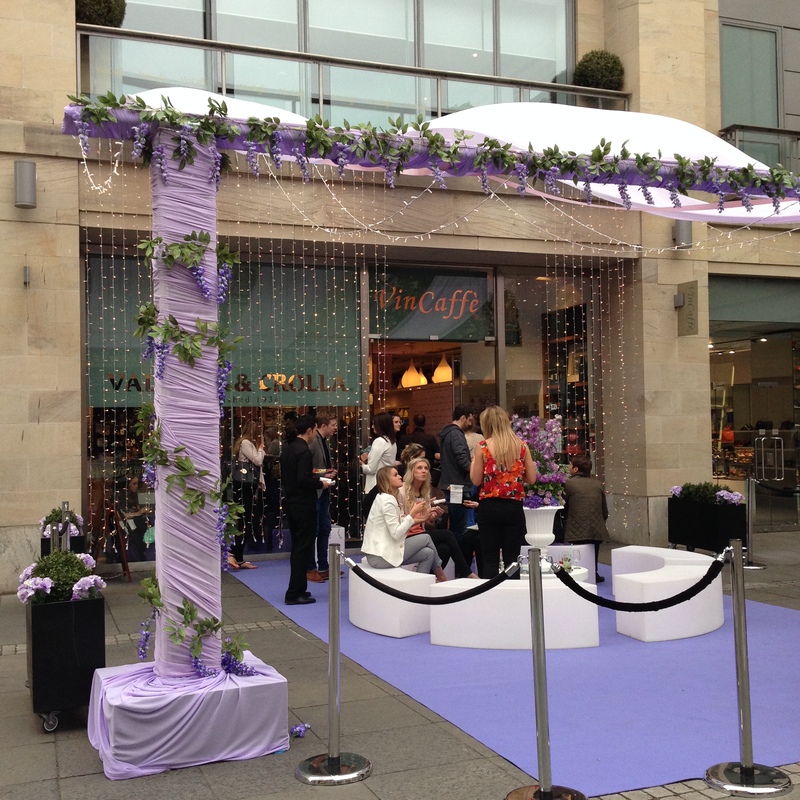 A few weeks later, the Scottish capital featured in #MyRingsMyStyle again as Pandora’s mini tour of the country to celebrate the launch of the campaign culminated in a Multrees Walk soirée following bashes in London and Manchester. 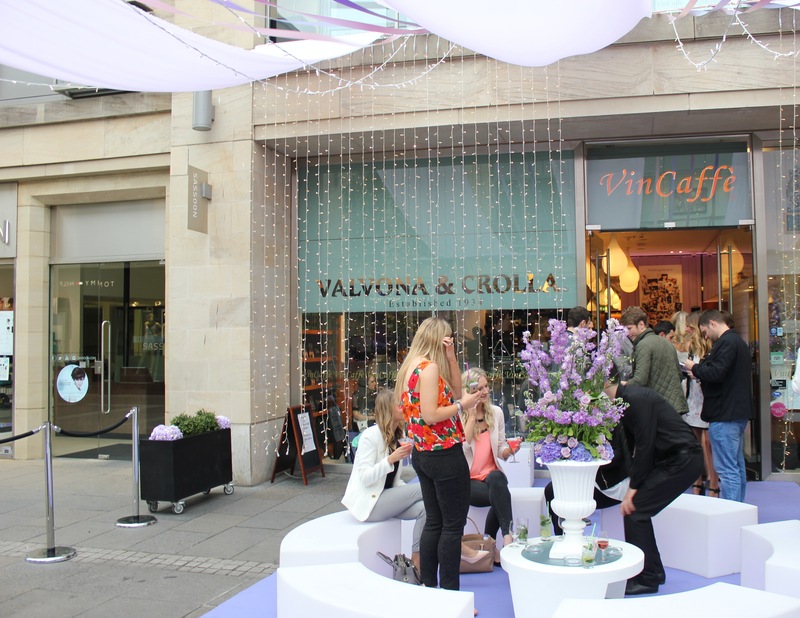 Both the Pandora boutique and Valvona & Crolla across the road (one of my Edinburgh faves) had been transformed into girly heaven, with a myriad of purple blooms and twinkling fairy lights. 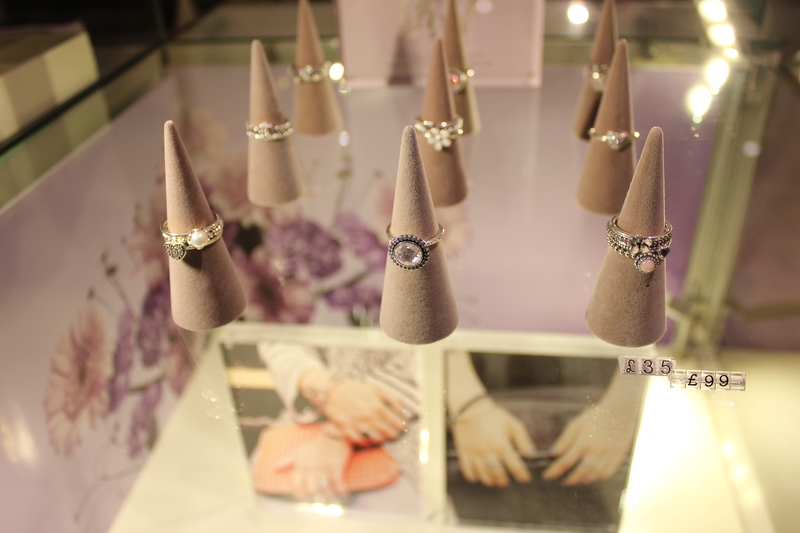 Along with fellow Edinburgh bloggers Cait and Louise, I ogled the rings (I now have a stacking rings shopping list) and nibbled Valvona’s mini pizzas and raspberry cupcakes while having a lovely wee chat with some of the bloggers involved with the #MyRingsMyStyle campaign. 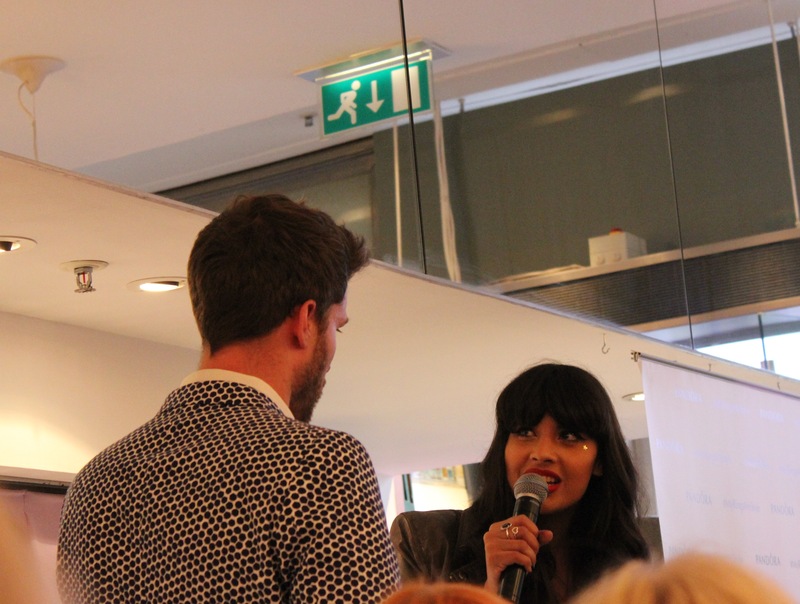 Jameela Jamil and Rick Edwards hosted the evening, interviewing each of the campaign stars, and there was a prize draw to win each of the ring stacks – I was incredibly excited when my friend Ruth’s name was called out! 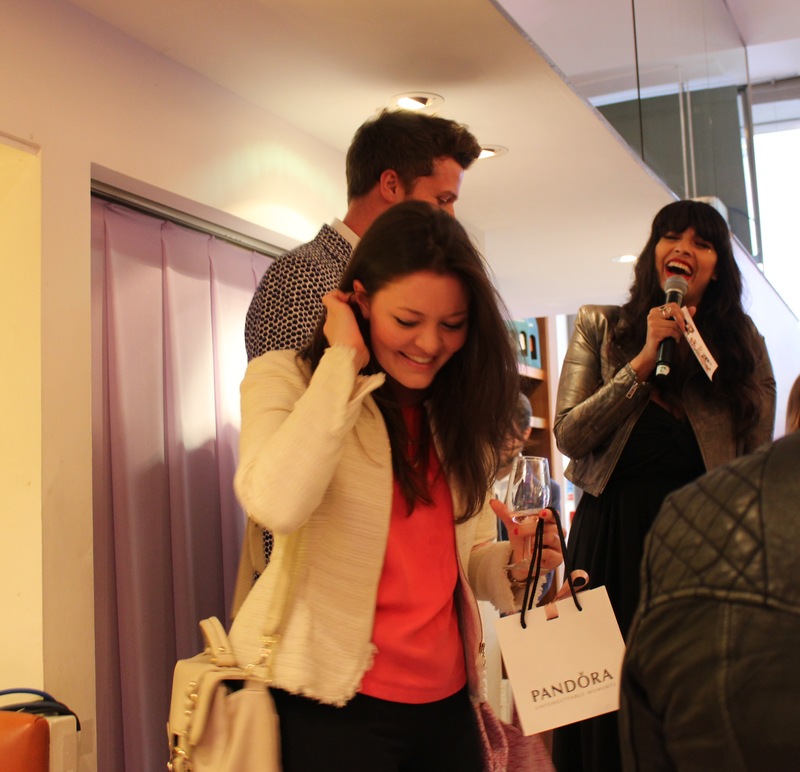 She won Jameela’s ring stack, which Jameela looks pretty happy about, don’t you think? 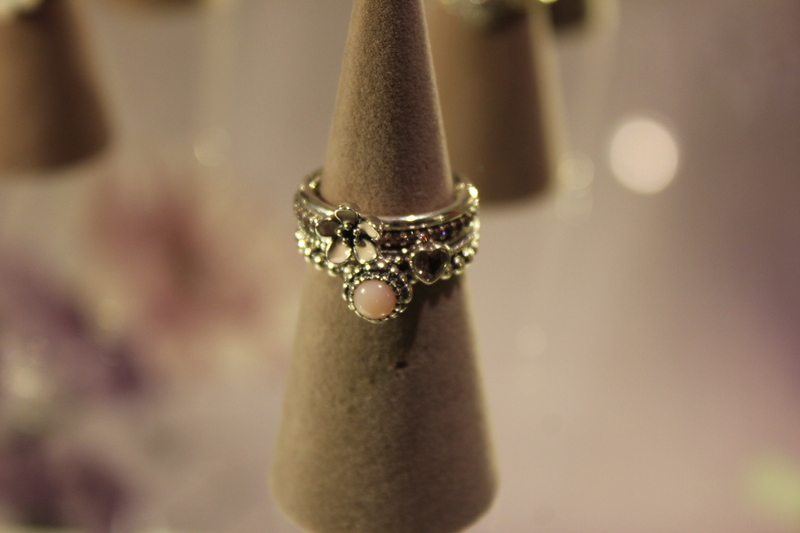 Do you wear rings? 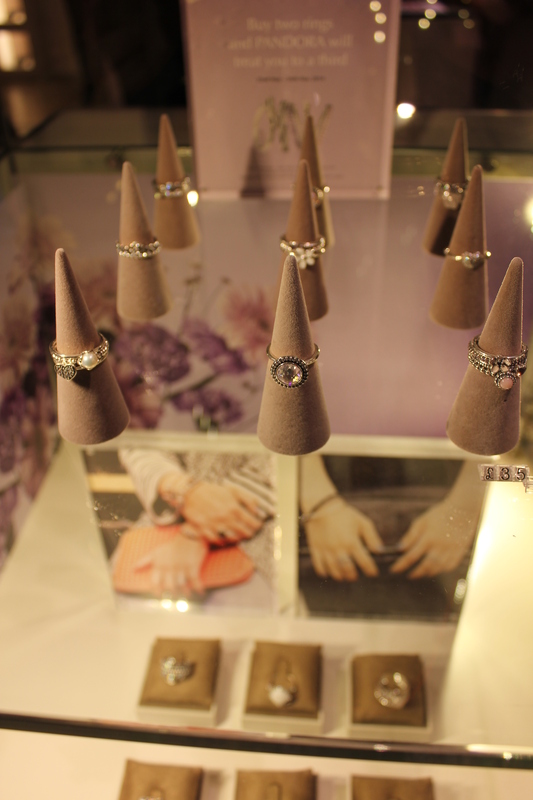 Do you have an eye on any of Pandora’s stacking rings? 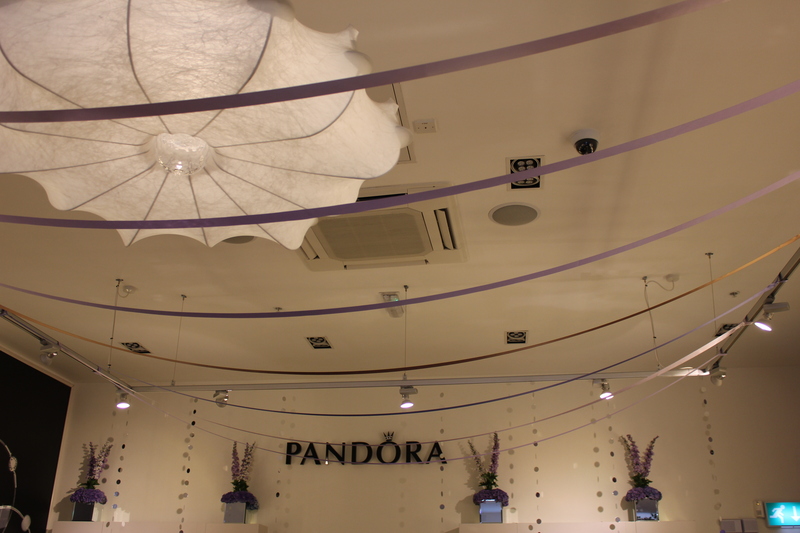 Thanks for inviting me to the #MyRingsMyStyle party, Pandora!